Sign in to the Power BI service and open the report you want to link. Click the ellipsis (…) for the action menu in the upper right-hand corner of the screen. Now you’re ready to display the generated QR code. To use a code, open the Power BI iPhone app and scan the QR code. The new notification in the Power BI Mobile app for Windows can help by letting you know whenever a colleague shares a dashboard with you. You can now use shared datasets with parameters. 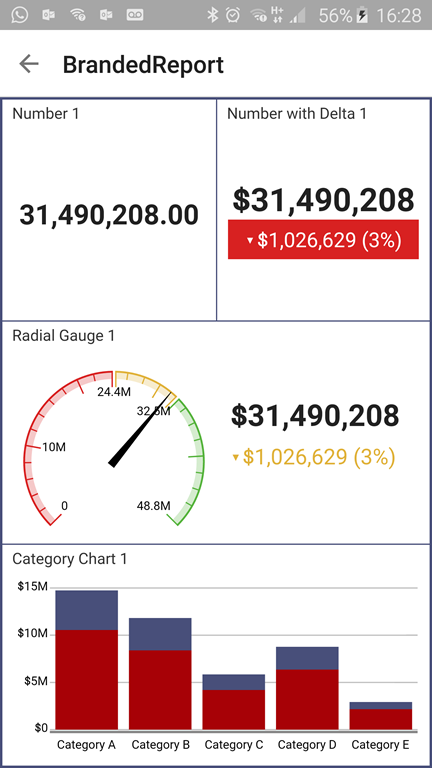 You can also view your mobile reports with custom themes that highlight critical metrics. Introduce global search and the “recent” menu to our Android app. Global search allows you to search for dashboards, reports, and groups by name. Simply start entering your search terms in the input field, and suggested results will instantly appear. Search results are separated by type, and you can narrow your search by selecting a specific type on the search result ribbon. 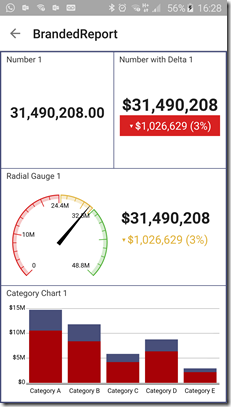 Addition of a multi-select option for report slicers, and new support for NTLM authentication Reporting Services in SQL Server 2016.